Once I had a steampunk outfit put together, I wanted to accessorize. 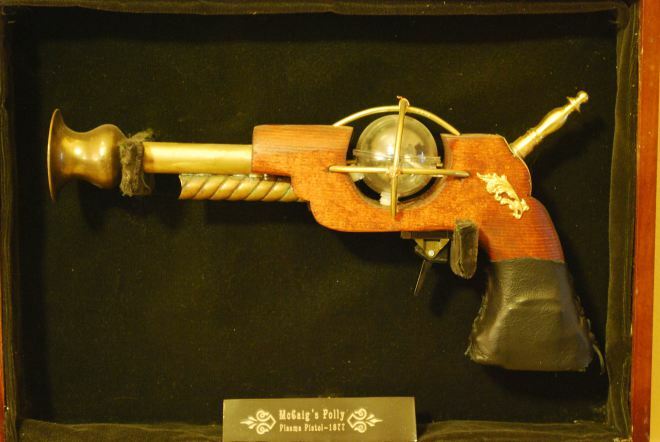 While I’ve since imagined a few instruments appropriate for a Steampunk Scientist, the first gadget I made was a plasma pistol. I remember when plasma globes were special enough that they were exhibits at science museum. That I could incorporate one into one of my creations was too cool.